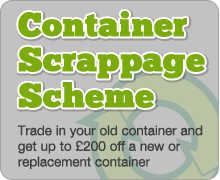 Just like any other business companies such as ourselves that sell shipping containers may have offers on from time to time and have a sale in January. Even though they may not advertise a sale or discount if you compare the prices being offered at the moment compared with a few months back you will probably be pleasantly surprised. Shipping container prices are pretty volatile like many commodities and fluctuate from month to month, impacted by many different factors. The main driving force behind this variation is the new build price in China. When a container company disposes of a box from their fleet they generally like to replace it with a new one, new build prices are therefore factored in. Stock levels and market conditions will also play a role, trying to predict them though can be difficult. If you are in the market for a cheap shipping container then January could be a good month to buy. Those that are selling will want to clear stocks that have been sitting in storage and start the year afresh. Also imports in the run up to Christmas are usually very busy meaning there should be a lot of kit on the ground. As always though if something sounds too cheap there is probably a good reason for it. Make sure you are buying from a reputable depot and if possible ask to visit their offices and take a look before you buy.